CDr released in an edition of 100 copies, comes in a jewelcase with a 4-sided insert. "All songs composed, arranged, performed and recorded by Oracle.Sing, except for track 4, which is an impromptu free-style improvisation featuring my friend Molokunin on guitar. This is a compilation featuring some of my musical activities between 2008 and 2013. A download version with four bonus tracks will be obtainable in online stores. 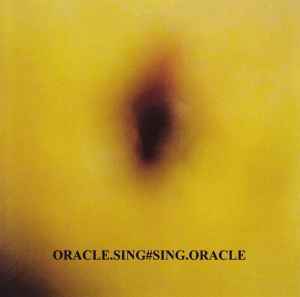 Oracle.Sing is a solo project; nevertheless, two songs I played with my friend Molokunin made their way to the download album, one to the physical CD. My very special thanks go out to Michael and Stan of Opa Loka Records for being ever so patient with me, and for assistance and encouragement. Published by Opa Loka Records 2013.